Results continue to tick upward as company pushes for price increases. .Com registry Verisign (NASDAQ: VRSN) reported first quarter earnings yesterday afternoon. 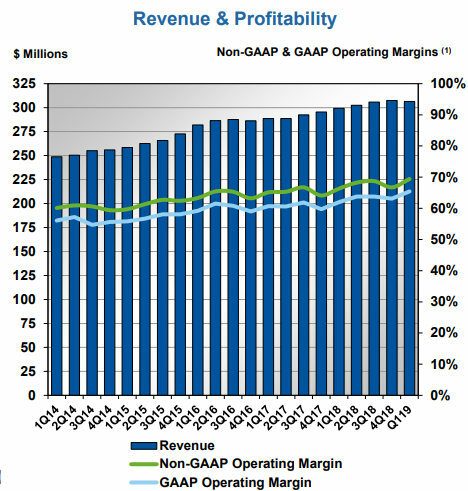 It generated $306 million revenue for the quarter and a 69.4% non-GAAP operating margin. The business created $187 million in operating cash flow. People registered 9.8 million .com and .net domain names in the first quarter of the year, resulting in net growth of 1.82 million in the domain base for these two top level domain names. The company narrowed its guidance for the year by removing the lower end. It now expects $1.220 billion to $1.235 billion in revenue. It expects the .com/.net domain base to increase by 2.5% to 4.25% by the end of the year. You won the auction! Or not. A glitch caused a GoDaddy auction bidder to think he’d won an auction, only to end up the runner up. Notice I won the auction fair & square, then someone else won it 5 minutes later, so shortly after I logged into my GoDaddy account to see the 2nd screenshot below and I was absolutely shocked because they were saying I didn’t win the auction, nor did they even give me the opportunity to win the auction AGAIN after I had already won it. We have identified an issue that could cause the auction countdown timer to continue running even though the connection between the user’s computer and the server times out. This can happen from network latency anywhere along the path. Our team is working to resolve the issue now. To be on the safe side, we recommend customers refresh their browsers as auctions are ending. We apologize for any inconvenience this has caused to our auction participants. Especially in major auctions, it seems that refreshing the browser might be a good proactive move until this problem is fixed. Consider these eight safeguards to keep thieves away from your domain names. If you own domain names–particularly good names–you are at risk of having your valuable assets stolen from you. 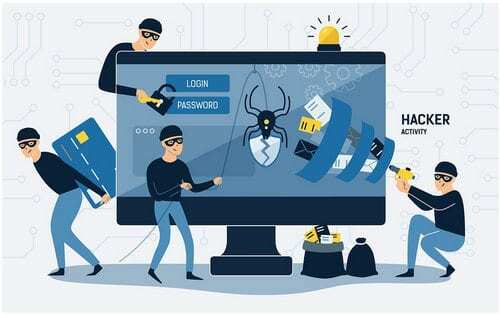 Thieves will try to compromise your domain registrar account (sometimes by first compromising your email account) and transfer the domains to another registrar. Sometimes they won’t change your nameservers, so you might not realize the domain name is stolen until much later. This makes it harder to recover the domain name. Use two-factor authentication at your domain name registrar. Any reputable domain name registrar offers two-factor authentication. A thief then needs access to a secondary device (such as your phone number) if they want to crack into your account. Use secure email with two-factor authentication. A common way thieves get into your registrar account is by compromising your email. Once they have access to your email they can reset the password at your registrar. I’ve heard some advice that suggests you shouldn’t use free email services for your domain accounts. I disagree; web-based email services can be some of the most secure options. Consider using Gmail with a physical security key as secondary authentication. Use a different email address for your registrar account than Whois. While many registrars have masked email addresses in Whois, some still show it. Thieves use the email address on a Whois record as a starting point. They try to hack that email account to access the registrar account. One way to stump them is to use a different email address for your registrar account. Use a password manager. Another way thieves get into your registrar account is by phishing. They use your email address from Whois to ask you to log in to a fake site. They grab your credentials when you do this. Two-factor authentication (see #1) can stump them even if they have your username and password. Using a password manager can stop you from falling for the phishing scam because it won’t allow you to auto-fill your credentials on the wrong site. Remember that Whois privacy is a double-edged sword. While thieves use public Whois info to try to break into your account, masked Whois records aren’t always better. After all, if your domain is stolen it might not be reflected in the public database. It will be more difficult for you to discover that your domain is stolen. Use GoDaddy’s domain transfer verification services. This only applies to GoDaddy customers that have Premier Services account managers. The minimum to be considered is 300 domains but there are other qualifications, too. (Here are the qualifications from 2013.) With this added service, your account representative will call you to verify all domain transfers that aren’t Afternic fast transfer sales. It slows down the process but it’s a very good layer of additional security. Add transfer lock to your domains at your registrar. Track your domains. Use a service like DomainTools to track your domains. You’ll get alerts when a domain is unlocked, transferred to another registrar, etc. Feel free to comment about additional safeguards you take to protect your domain name portfolio. Company was “factually misleading” and committed “egregious overreaching”. The company that operates this website at Incanto.eu was found to have filed a cybersquatting case in bad faith. 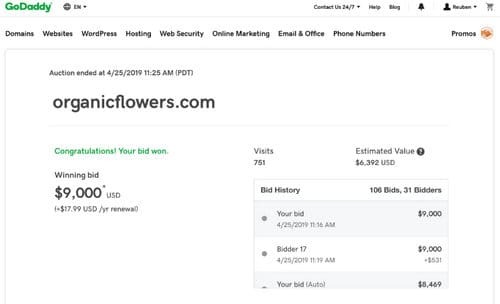 Brooksburnett Investments Ltd, which sells clothing under the Incanto brand, has been found to have committed reverse domain name hijacking in a dispute over the domain Icanto.com. The company uses the domain name Incanto.eu. A three-person World Intellectual Property Organization panel did extra research to figure out if the Complainant was providing the entire truth. It decided that the Complainant didn’t show that the domain owner registered the domain in bad faith and didn’t prove that the owner lacked a legitimate interest in the domain. Amusingly, the Complainant pointed to another UDRP filed against the domain owner as proof that he was a cybersquatter–but the panel in that case found in the domain owner’s favor. The Complainant’s first Supplemental Filing acknowledges that the “Complainant began to optimize the business recently, began to increase the efficiency of assets. The Complainant has plans for the US market, so drew attention to the problem of respective domain names and filed this Complaint.” This does seem to be a “Plan B” filing, after the Complainant recently tried without success to purchase the Domain Name from the Respondent some 16 years after the Respondent added the Domain Name to his portfolio. The Complaint made sweeping assertions about the Complainant’s business and trademark rights and recognition that simply did not match the facts in 2003 when the Domain Name was registered and offered little or no evidence to support its claims for the “worldwide” fame of the trademarks in 2003. It required two rounds of Supplemental Filings and additional research in public record sources for the Panel to reconstruct the circumstances in 2003. The Complaint was factually misleading and had little prospect of establishing bad faith in particular, given the very limited and localized use of the mark in 2003 by the Complainant’s predecessor in interest and the generic meaning of the term “incanto”. The Complainant contended repeatedly, with no basis, that this was a “coined” term associated distinctly with the Complainant. Arguing the Respondent’s “pattern” of bad faith based on a UDRP decision that actually found in favor of the Respondent is simply one more example of the egregious overreaching in the Complainant’s approach to this proceeding. An online dating site, the National Conference on Weights and Measures and two home accessory brands bought domain names last week. The six-figure sale of Yotta.com topped this week’s Sedo end user sales report. There were several unique buyers this past week including a line of all natural marshmallows. Yum! Yotta.com $100,000 – This Six-figure sale was the top overall sale at Sedo for the week. It’s still in escrow, but a likely buyer is the software company by the same name that currently uses WeareYotta.com as its domain. Another potential buyer is the ecommerce company called Yottaa (two a’s). EndlessSummer.com $20,000 – There are a ton of trademarks on this term. Whois shows a French company called Palem. EHVentures.com $10,000 – Rental car company Enterprise Holdings. PlayWell.com $9,500 – Forwards to Hape.com, a German brand of high quality educational wooden toys. With this purchase, the company may be launching a new line or marketing campaign. Date.app €5,000 – A nice .app sale. Web design firm Tuner Media in Madrid bought the domain, perhaps for a client. DiGift.com $5,000 – Forwards to DiGift.ru, an online gift card giving service. NCWM.com $4,995 – The National Conference on Weights and Measures, which currently uses the .net version of this domain. CushionShop.com $4,988 – Cushion.com, an online cushion retailer that creates custom made cushions, pillows, pads and umbrellas. Its main domain is awesome so I’m curious to see what they do with this one. Alcari.com $4,000 – Alcari is a knitwear brand specializing in men’s and women’s scarves and knit hats. It currently uses AlacariOfficial.com for its website so this is a big upgrade. Dandies.com $3,988 – A company that produces all natural marshmallows under this name. These treats are made with all natural ingredients, contain no high fructose corn syrup or gelatin and were the first marshmallow to be Non-GMO Project Verified. I like the name. ADA.ag $3,898 – A healthcare app out of Berlin that uses AI technology enabling users to complete health assessments from their mobile devices without having to go to the doctor. It already owns ADA.com. The ccTLD for Antigua and Barbuda could be a sign it wants to get into animal medicine (.AG is sometimes used as short for Agriculture) or it could just be a brand protection move. Fortuny.it €3,660 – Forwards to VenetiaStudium.com, an interior design brand based out of Venice, Italy with an original line of lamps under the Fortuny moniker. With this purchase, it could now feature these lamps on a dedicated landing page. Delta.io $2,999 – Delta Lake is an open-source storage layer to bring ACID transactions to Apache Spark. CHPM.com €2,800 – All County Heritage Property Management in California bought an acronym domain. Shag.co.uk £2,000 – An online dating site purchased this domain and has begun developing it.